Ella Fitzgerald's voice was satin to Louis Armstrong's sandpaper, but if you do a song together, their chemistry impeccable. This disc select highlights from the three albums they made together at Verve (including Porgy and Bess), and add a cool song live at the Hollywood Bowl. 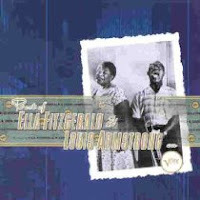 Although not well agree (voice Armstrong was not built for harmony), Ella and dignity swing flashes to tease the mind to play Satchmo throaty rumble of good humor in symbiosis. The material is usually easy thing Tin Pan Alley (lots of Gershwin, and people were like "I've Got My Love to keep warm) and they fly like a dragon.